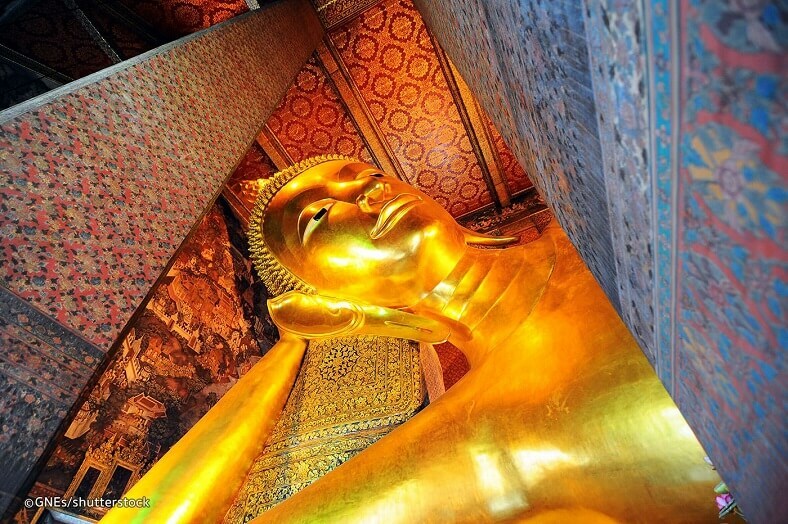 Wat Pho – the most famous temple in Bangkok, will be the ideal place for those who are looking for new things. One common Thai feature is that almost all temples in Bangkok are free to local people, while tourists have to buy tickets to visit these temples. To distinguish this, the entrance system at the temples in Thailand has two gates: the large gateway for foreigners annotated in English and the guide to ticket buys, while the other gate is reserved for Thai people. It is recorded in Thai and if they are foreigners, they will never understand. Only 10 minutes walk from the Grand Palace and we recommend you to go to the Grand Palace first and then visit Wat Pho Temple to spend more time on the complex of the temple. 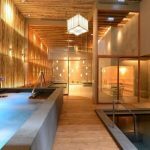 In addition, this is a great place to experience traditional Thai massage. Wat Pho Temple is considered the cradle of massage training in Thailand so it is assured that you have chosen the right place. Wat Pho is located at 2 Sanamchai, near the Grand Palace. Opening hours: 08:00 to 17:00. Wat Pho is one of the top attractions in Bangkok with both Thai locals and tourists. This large temple is famous for its Buddha statues. The official name of the temple is Wat Phra Chetuphon Vimolmangklararm Rajwaramahaviharn. 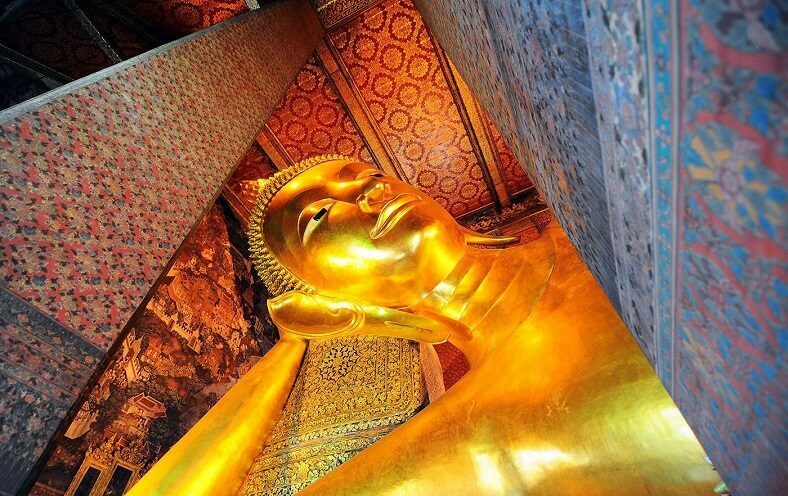 The name Wat Pho in the Thai language comes from Wat Phodharam – the name of a monastery lost in the Ayutthaya period. King Rama I in the Chakri dynasty rebuilt the temple for nearly eight years. King Rama III continued to expand the campus in 16 years and King Rama IV gave the temple its name today. As a royal temple, Wat Pho has many sacred and precious Buddha statues, as well as many unique architectural works. In it, the most famous one is the lying Buddha statue which is very majestic. This statue is 46 meters long, 15 meters high. It is casted by plaster, covered with bricks inside and with the gold outside, and put on a base which is also covered with gold, carved and decorated very elaborately. In addition, the walls around and on the ceiling of the Buddhist shrine are also meticulously decorated to be harmonious with Buddha statues, creating a warm and solemn atmosphere. When entering the lying Buddha palace, remember to drop a coin into one of the bowls placed around the temple to pray for blessings. These 108 bowls represent 108 incarnations of the Buddha. 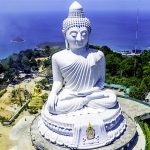 Although the statue of Buddha is the main attraction of the temple, you do not forget that in this population, there are more than 1,000 other special Buddha statues. 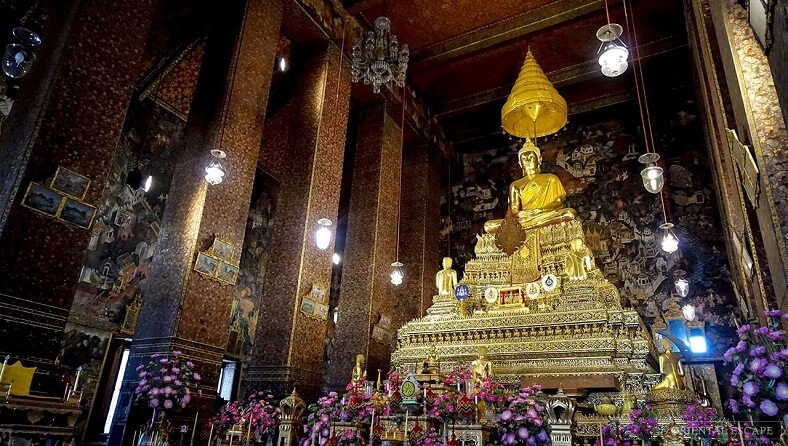 Four small shrines contain 394 gold-plated statues of Buddha and long rows of gold statues from all parts of Thailand, placed on the lotus pots in the temple. The walls on the walkway around Wat Pho are decorated with extremely elaborate, sophisticated and elegant details. 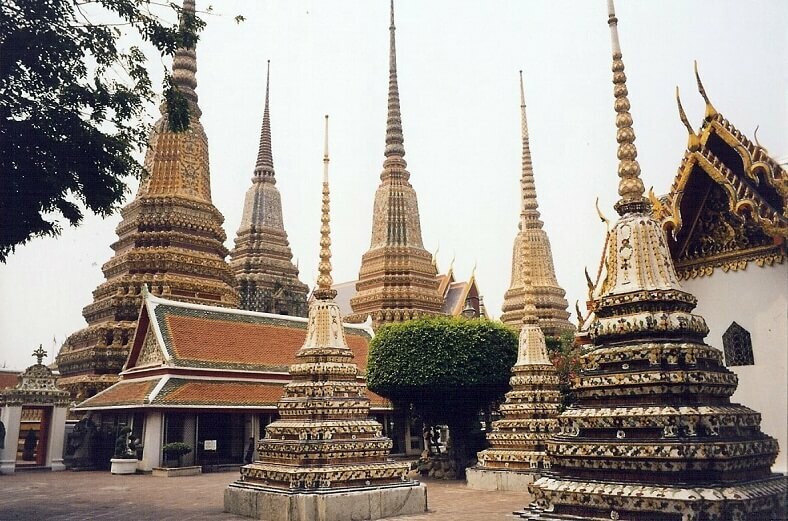 Finally, in the courtyards of Wat Pho, you will find Chinese-style pyramidal statues and the 91 stupas containing the gausses of the monks placed above the ceramic flowers and colorful tiles. The main shrine of the pagoda is a very fine artwork on the art of mosaics. The east and west gates of the shrine are inlaid with gems and along the base of the sanctuary are a series of elaborate sculptures of lava on sandstone. Behind is a garden decorated in Chinese style. Inside the pagoda, there is a bell tower in the middle of a spacious yard, on a 5-meter high platform painted pure white, with 12 steps up. The wall surrounding the bell is also covered with porcelain. The light inside the temple seemed to have been deliberately refrained from brightening up to create a mysterious twilight, so taking a photo shoot requires a powerful flashlight to capture the clear pictures. Besides, it is also an ideal place for tourists to enjoy the traditional Thai massage. Wat Pho is often known as the leading massage school in Thailand, so you will really have great relaxing moments with the skillful hands here. 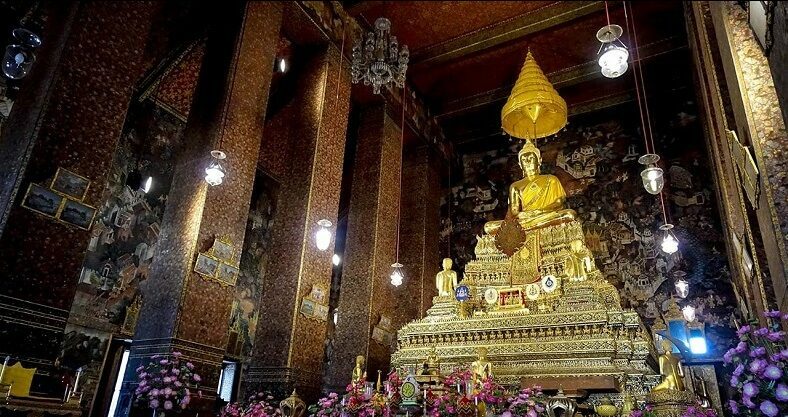 Since December 2012, entrance fee for Wat Pho is 100 baht (3$) and you can visit whenever you want from 8 a.m to 5 p.m. When you come to Wat Pho you can also ask an English guide to give you lots of interesting information, priced from 200 to 400 baht (6$ – 12$) depending on the number of people in the group and how good you are at bargaining. If you do not like it, you can walk around alone. In addition, it should be noted that, in order to show respect, all visitors must wear appropriate clothing when entering the temple. The costumes worn on the body should not show your shoulders or your knees. To move to Wat Pho Temple, the simplest way is to catch Tuk Tuk. If you go in a group of 4-5 people, it is very cheap, only 200-250bath (6$ – 8$). Tuk Tuk runs straight to the gate of the temple. Alternatively, you can take the BTS to Saphan Taskin Station (37bath or more than 1$) and take the ferry at Sathorn Pier (40bath/ 1.2$). In addition, Bus is also a good transportation. You can take the following buses: No. 1, 3, 6, 9, 12, 25, 32, 43, 44, 47, 48, 51, 53, 82, 103 (without air condition) and No. 8, 12, 44 (with air condition). You can also go to Wat Pho by Chao Phraya Express. We hope that the above information will be helpful for your trip. Have a nice trip!